Gabe King discusses the political pantomimes which sometimes surround the discussion of dual-use issues. He deals with a specific variety of dual-use issue, which occurs at an international level. Specifically, he examines the problem that ostensibly peaceful state funded research might be interpreted to ‘cross the line’ into illegal offensive bioweapon research. His article examines recent accusations about a Lab in Tbilisi, Georgia. His article leads us to consider the value of verification in relation to national research capacities. Gennady Onishchenko, Russia’s Chief Medical Officer and head of ‘RosPotrebNadzor’ the Russian consumer protection agency claimed late last month that a U.S funded bio-lab in Georgia posed, “a direct threat” to Russia and a “Direct violation of the BWC”. This statement was further echoed by Vyacheslav Tetekin, a member of the Dumas Committee on Defense, who stated“ there is perception that biological weapons are beginning to be used by the Americans more and more widely. I see this situation from the point of view of national security”. Both officials firmly accuse the Georgian authorities of kowtowing to their U.S puppet masters. The ‘Richard G Lugar Center for Public Health Research’ in Tbilisi, which is at the center of this spat, saw a U.S investment of US$150 million into the state of the art lab. Of course Georgian officials were quick to point out the absurdity of the comments and further highlighted the point that Russian personnel had already inspected the facilities and, in fact, any expert or specialist was welcome to do the same. Whilst the likelihood of such a facility being used for a covert biological weapons programme seems remote, it is crucial to note that the specter of dual-use potential still looms large in the minds of some. 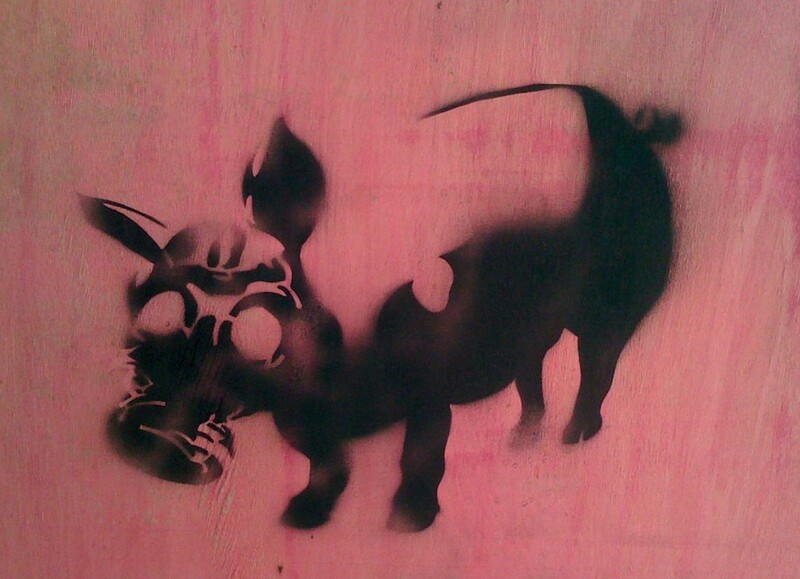 Onishchenko had, earlier this year, claimed that Georgia deliberately introduced African Swine Fever (ASF) to Russia by parachuting in a regiment of infected pigs. This claim seems to compliment his earlier fears that food and wine may be poisoned by the Georgians, presumably as some kind of retribution for the 2008 war. It also seems to have the added bonus of being yet another opportunity to lash out at the US, its approach to international security, and its allies. The script between the U.S and Russia is by now almost farcical with the two sides co-opting into a familiar tango. The U.S continues to highlight the opacity surrounding the Russian Biodefense programme, compliance issues and the inheritance of Soviet activities. In retort the Russians ask for evidence and then point to dubious dual-use activities and the U.S refusal to create verification mechanisms for the BWC. Whilst, for the rest of us, it seems that the science and real threats are usually cast aside for yet another round of political point scoring. These competing and constructed narratives fail to enhance security for any nation, instead they continue to fuel a cycle of anxiety that should have long since passed. It is worth remembering that problems with dual-use technologies are not confined to the laboratory, indeed perception and Spin can be just as dangerous a weapon as any pathogen. Rhetoric and posturing serve only to fuel the security dilemmas of old and detract from key biotech breakthroughs, and new emerging challenges in the security environment. The continued lack of verification protocols in the BWC coupled with the often opaque (and in the case of Russia, some might argue covert) nature of biodefense research will continue to pose a significant threat to international security. And whilst parachuting pigs and poisoned wine from Georgia may seem like an absurd threat to some, these ideas continue to be perpetuated by those who seek to utilise scientific discovery for political gain. In the dual-use world, sound and responsible scientific research needs to be complimented by a measured, legitimate and informed approach to political discourse. Inflammatory statements from all sides do little more than erode the precious commodity of probity that we should all hold dear. Gabe King is a postgraduate student at the University of Queensland in Australia. His main research focus centers upon the interplay between biotechnology and international security. Every so often research or technology finds its way into the headlines as a source of potential misuse concern. This week it is ‘gain of function’ research into the H7N9 strain of bird-flu. This research will involve experiments which may result in the development of strains which are more lethal, infectious and more prone to change than strains found in nature. This follows the announcement by a group of scientists of their intentions in a letter to two leading scientific journals. This announcement comes in the wake of a previous outcry in relation to H5N1 research. This was conducted by some of the researchers now working on H7N9. 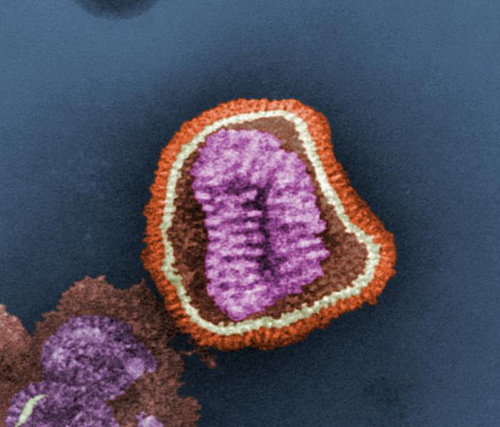 The H5N1 fiasco focused on the question of whether research which demonstrated how to make the H5N1 virus transmissible through the air should be published. In the case of the H5N1, political panic set in, which sparked some unusual international events and discussions, as well as a year-long voluntary hiatus on similar research. The ultimate outcome was that the US government decided to tighten up institutional level review and risk assessment of research on certain pathogens. An approach which neglected broader underlying concerns, and revealed absence of institutional capacity to deal with these issues at both national and international level in a scientific and legitimate way. Before bird-flu other S&T to attract press attention included viral-synthesis research and mouse-pox research. Added to this concerns about mail-order viral components also appeared in the press in the mid 2000’s. These latter concerns have been dealt with primarily through voluntary industry screening practices. The most recent non-biological technology to be discussed in terms of its misuse potential is 3D printing technology – which has raised the concern for some that the technology will allow people to print plastic firearms. Such heightened public concerns about specific experiments and technology appear bizarre, in the context of the claim that all science and technology can be misused. Indeed as a biochemist I once interviewed pointed out, even work on the immune benefits of chicken soup, could breed findings into how to overcome the immune system of a human being. Added to this there is research occurring internationally that involves doing lots of worrying things to nasty pathogens. This includes research into pox-viruses. Smallpox, the most tightly regulated pathogen internationally, is a classic bio-weapon agent. This eradicated pathogen only exists in two high-security laboratories – one in Russia, and one in the US. Be that as it may, it is only a handful of experiments which have been subject to the public and policy circus that is high-level dual-use review. The organizers of such interventions have faced the daunting task of providing expert and timely advice. Following two reviews conducted by US dual-use advisory body one dissenting (now former) member described the political situation as involving ‘uncharted scientific and public policy waters‘ and suggested that the reviews were based on inadequate technical information. As a colleague at the University of Bradford has pointed out– it appears paradoxical that dual-use issues are supposedly everywhere, but that such political dilemmas are incredibly rare. Over my time conducting my PhD on dual-use policy, I have heard several catch-all explanations for why a life science research team, operating quietly in their lab one week – can suddenly find themselves being called to justify their research in terms of benefits and risks in a public forum. Or alternatively, why certain foundational technologies such as gene-synthesis technologies have received the lion’s share of dual-use concern within the biotech sector in recent years – sparking the development of Federal guidelines and industry oversight initiatives. A common one is the ‘terror/hype’ explanation the idea that certain experiments, presented in a certain way at the right time are just downright scary. The terror/hype explanation suggests that such public furor is dependent on the heady mix of technology hype and accessible misuse scenarios which capture the imagination. Occasionally aspects of the press undoubtedly aid this, through the over-simplification of research, or the focus on extreme worst case scenarios. Although, in my own experience, the polarization between the scientific and security communities, has also sometimes resulted in equally as unhelpful presentations of the issue. Another explanation – and one which tends to be preferred by conspiracy theorist types, is that the range of experiments and technologies which have reached press, public and policy maker attention reflect certain political agendas. It is difficult to make sense of the politics which surrounds dual-use issues relying on either of these approaches exclusively. An alternative approach is to focus on the institutional landscape which gives scope, significance and form to dual-use use issues- and allows ‘dual-use’ dilemmas to bubble to the surface. Below are some of the underlying reasons why dual-use issues get some policy shapers and aspects of the public flustered. Public lack of faith in laboratory bio-safety/ bio-security. 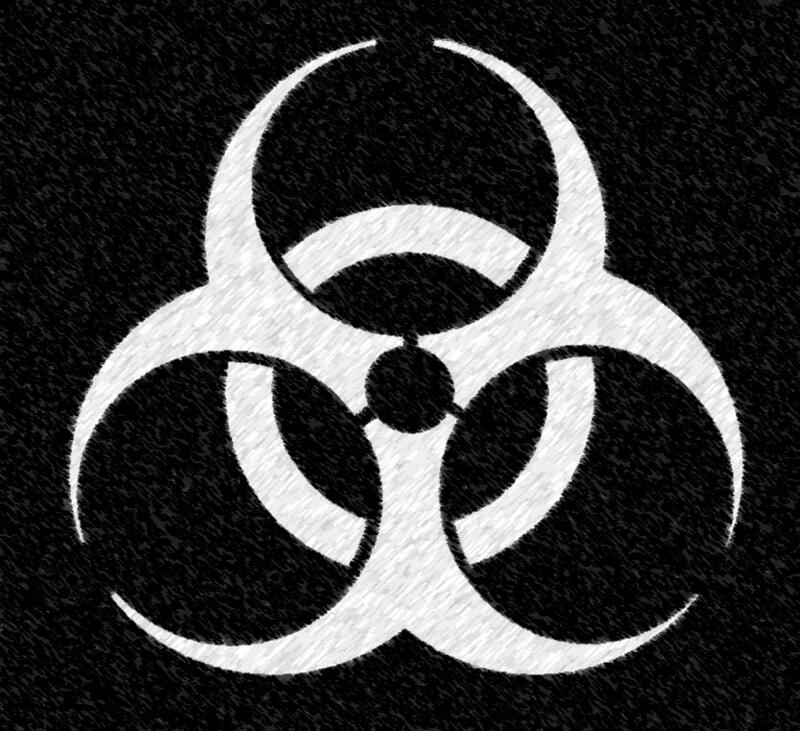 The perceived threat of rogue researchers working with the most dangerous pathogens within public health and biodefense research institutions. Such concerns occur in the wake of the allegations that a US biodefense researcher was behind the 2001 Anthrax attacks in the US. 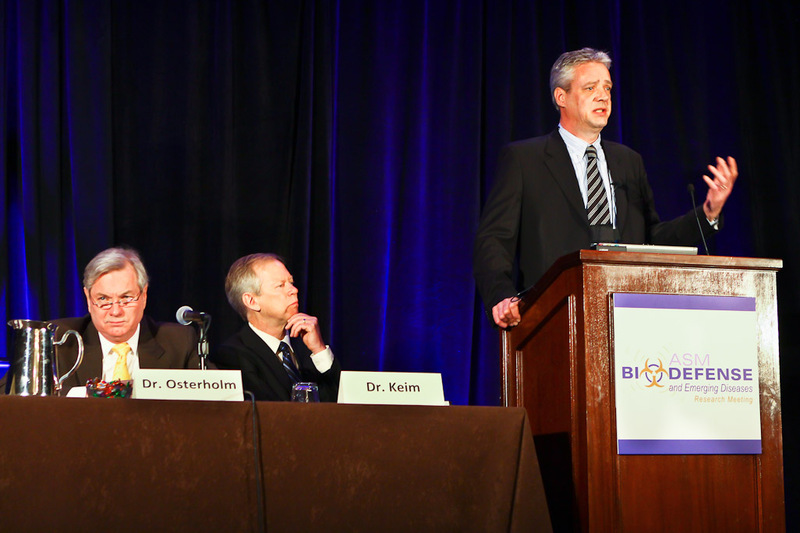 Concerns about state bio-defense programs within the international community. For example, the US biodefense program has been singled out as a cause for dual-use concern by some states and commentators. It has been suggested that such programs have the potential to make other states feel less secure. Concerns about de-skilling and diffusion dynamics within biotechnology. These trends make it harder for states to monitor and regulate against misuse by criminals and terrorists. Low levels of awareness among scientists about: misuse issues, the history of biowarfare as well as the international CBW regime. implications of this recent case for other fields of potential concern. Brett Edwards is based at the University of Bath and is working on a ESRC and DSTL project examining S&T review within the CWC and BWC. He is also working on his PhD which examines the governance of dual-use aspects of synthetic biology, in the US and the UK. Brett has also worked as a research officer on a Foreign and Commonwealth Office funded project on S&T review within the BWC. Recently, he also completed a research fellowship at the Parliamentary Office of Science and Technology. Brett has a dual undergraduate background in Biology and Politics, and holds an MA in Biotechnological Law and Ethics. Developing Countries and the Dual-Use Debate – Why the Fuss? Dr Louise Bezuidenhout who completed her PhD on dual-use ethics in Africa discusses the significance of dual-use issues in an international context. Louise outlines her perspectives on exportation of western dual-use concerns, and the way in which these concerns are understood and responded to by scientists on the ground. Dual-use issues relate to the risk that benignly intended scientific research may be utilised in the development of illegal weapons. Most current dual-use discussions tend to focus on scientific research that is conducted in a small number of Western nations such as the USA, UK and Australia. The majority of regulatory initiatives – including the “web of prevention” model – were spearheaded in these countries, and they have been highly influential in the development of initiatives to counter the dual-use potential of the life sciences. Furthermore, these countries – particularly the USA – have taken the lead in developing discourse on dual-use ethics and dual-use education for scientists. In recent years, however, the dual-use debate is increasingly becoming more international as many other countries start considering the dual-use aspects of the life sciences. Notably, there has been marked movement in many European countries as well as in the Far East. Nonetheless, despite the efforts of dedicated individuals, there remains very little representation from most developing countries in this growing international dual-use debate. While, of course, the percentage of worldwide research from these countries pales in comparison to that generated in the West, the amount of research and development coming from these regions has grown and looks set to continue doing so. In particular, the BRICS countries represented by Brazil, Russia, India, China and South Africa have all recently made massive strides in establishing life science research and development within their borders. In addition to the virtual absence of these developing countries in international dual-use debates, the topic of dual-use remains a moot point in many developing countries’ science regulation policies. Combined with highly variable degrees of nationally regulated biosafety and biosecurity oversight, formalized biorisk regulation and dual-use education and awareness is low within these countries. Nonetheless, this does not mean that scientists in these countries do not interact with dual-use regulation. Indeed, in many of these countries foreign funding and collaborations remain the only possibility for generating research funds in the absence of dedicated governmental funding. Thus, through funding requirements, collaboration memoranda of understanding, and publication agreements, as well as foreign legislation on exports and imports, scientists in developing countries are regularly coming into contact with concerns relating to dual-use. Despite assumptions that raising dual-use awareness through these channels increases a “culture of awareness and a shared sense of responsibility” amongst these developing country scientists, it seems important to pause and ask: does it actually work? Are the dual-use concerns communicated through regulatory and legislative channels actually translating into dual-use concern within these scientific communities, or are they in fact (in the absence of adequate education and discussion) alienating scientists from this debate? Recent empirical work conducted with scientists in a range of African laboratories suggested that increasing dual-use requirements and regulation in their current form were in fact alienating scientists from the debate. Interviews and focus groups with scientists in these countries strongly suggested that the imposition of foreign regulations and requirements without corresponding ethical discussion led to scientists failing to see value with the content of the dual-use concept. Although it may be easy to pigeonhole these scientists as “non-progressive” or “non-Western”, further investigation showed the situation to be much more complicated than that. Two issues in particular were highlighted. Firstly, the imposition of ethical priorities (such as counteracting bioterrorism) through regulations was often viewed by scientists as “ethical imperialism”. It was only through sustained discussions about the concept of dual-use and how the misuse of data was understood within a specific research context that this initial rejection could be overcome. Secondly, it became apparent that regulations often made implicit assumptions about research environments, reflecting a highly Westernized interpretation of scientific research. In many cases, scientists in developing countries felt alienated from discussions due to the impossibility of correctly applying regulations to their daily research. Although many commentators have been quick to jump in and say that research should not be done in “insufficient environments”, such statements are binary and uninformed. Much of the research conducted in developing countries occurs in eminently adequate environments that are, however, less advanced than those in the West. Without the dedicated core funding to modernize these facilities, it is unlikely that some regulations will be met according to Western standards – but this does not make the research conducted in these institutions unethical. Such judgments have been observed to increase ethical distress amongst scientists, often resulting in the rejection of dual-use discussions. Current debates on dual-use need to develop a greater sensitivity for developing countries. In particular, emerging dual-use ethics and regulations need to be aware of certain issues relating to developing country scientists. Ethical discussions and regulations often reflect an inherent Western perspective with Western priorities. This may alienate developing country scientists from debates without proper discussion of these issues. Imposing “globally applicable” regulations on research environments that differ markedly from the Western ideal will incorrectly foster perceptions of unethical research being conducted in these facilities and cause considerable distress amongst developing world scientists. Dr Louise Bezuidenhout is currently a Research Fellow at the University of Witwatersrand in Johannesburg, South Africa. Her main research interest is the development of ethical discourse – including dual-use issues – amongst scientists in developing countries. Posted in Bioethics, Education, Governance.